One of the most profitable sources of traffic is from social networks. Having a site or a post go “viral” is the dreams of many people, but it can lead to problems. For example, it can be difficult to track – which of your posts went viral, and who exactly shared your post? That can lead to problems analyzing your success and replicating it. After all, if you don’t know what lead to your success, how can you replicate it? When you go viral, you are often at the mercy of social media. Of course, there’s nothing inherently wrong with people sharing stuff whatever they think about your work, but wouldn’t it be better if you can control your shared message somehow? The problem can be that after going viral, it can be tricky to capitalize on your success. Often social media traffic visits one post then leaves your site, and it would be great to get some reward from this huge source of traffic. 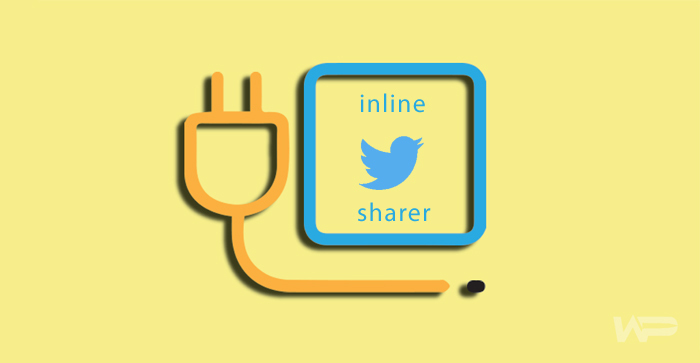 Inline Tweet Sharer Premium hopes to be a one stop solution to these problems. There’s two parts to this plugin. 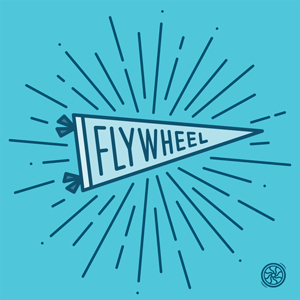 The first is the free version — Inline Tweet Sharer. This plugin, that is available on the Plugin Repository has a good rating (with eleven 5 star ratings), has been around for over 4 years. It’s a plugin that isn’t going anywhere. The plugin does one thing and does one thing well – it allows you to embed tweetable links within your posts on your blog, allowing you to control the message that users share of your posts. This will allow you to share quotes, stats or inspirational messages quickly and easily. Similar to what Medium and the New York Times do. When you install this plugin a settings page is added to the WordPress Dashboard. In here you can set up the default options for the tweets you create, as well as style tweets that you create with Inline Tweet Sharer. 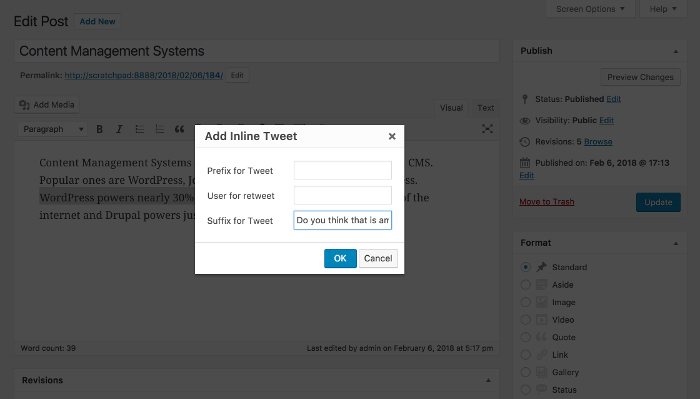 You can also connect the plugin with URL shortener Bit.ly to track clicks as well as to share links created in Inline Tweet Sharer easily over other platforms. When you are happy with the setup, you can begin writing the post. When you create or edit content using WordPress’ visual editor you will notice an extra Tweet button added to the navigation bar, select or create some text that you wish to convert into a Tweetable link, and click the button. A window will pop up asking if you want to add a prefix, suffix or a twitter handle to follow. When you click “Okay” you will have a tweetable link. This is a great way to increase social sharing on your blog posts, as the links are easily added and visible on the site, and you can choose to add context to make your links more “Clickbaity” and give more context on your links, and you can add Twitter profiles to share on your site. If you want more power though, you can check out the Premium Version. In the Premium version of Inline Tweet Sharer, the key feature is Google Analytics Integration. The links you share on Twitter will contain Google Analytics Campaign tracking. This allows you to see which links are being clicked on, and which links are generating traffic, and which traffic is converting. Previously in Google Analytics you simply get an unhelpful referrer from t.co usually. 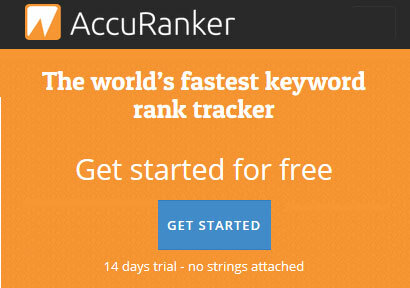 With this feature you can see exactly which link generates traffic. This is super powerful for improved analysis on your site. So your content has been tweeted out by an interested reader, now what? Well in the Premium version you can also encourage the user to follow you after tweeting your content. By specifying the user and a call to action text, you can use the plugin to increase the amount of people who follow you on Twitter. Finally, if you want a completely different message for Twitter to your blog, you can completely change the tweet text in the Premium version. This will allow even more control of your message as your blog message and your twitter message can be different. All these are done using the same interface as the free version, so if you’re familiar with that, then the Premium version should work. 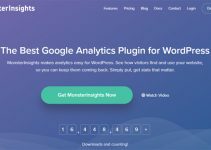 We’ve also spoken with the developers and they’ve confirmed that the plugin is compatible with the new WordPress editor – Gutenberg. Documentation is handled using a comprehensive page on the Winwar Media Site, which covers both the free and premium version. It can appear a bit lacking, but the plugin is rather intuitive so there isn’t a major need for comprehensive documentation. If you are having a problem you have two options available to you, support is either handled on the WordPress.org Forums (which has about 50% resolved rate for support) or if you have a premium licence you can use the dedicated priority support section. Pricing as previously mentioned is £25 for a yearly license. You can use ‘WPWARFARE’ discount code to SAVE 10% of your order. 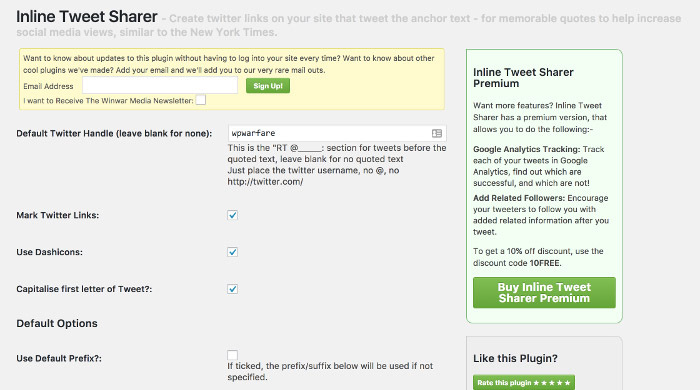 Summary: In conclusion, Inline Tweet Sharer is the definition of what a plugin should be. It does one thing and does it well. If you want to control the message shared from your blog onto Twitter, then this plugin will greatly help. The premium version just adds features to it, especially important for those who are serious about growing their blog on Twitter.